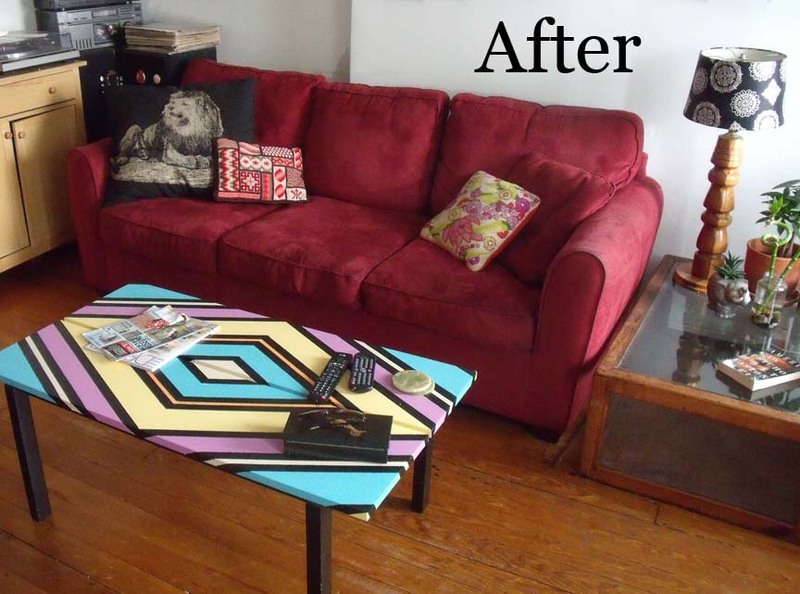 This coffee table makeover has been a LONG time coming. 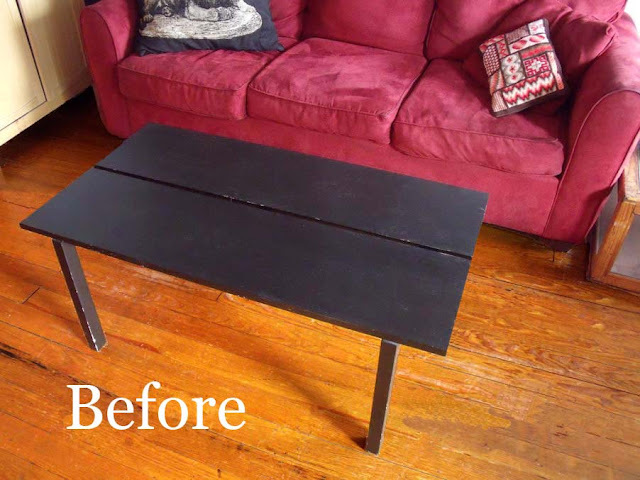 The little black table had been left in my apartment when I moved into it 3 years ago. It's beat up and ugly, but I'd was grateful to find it there as I was in need of one at the time. 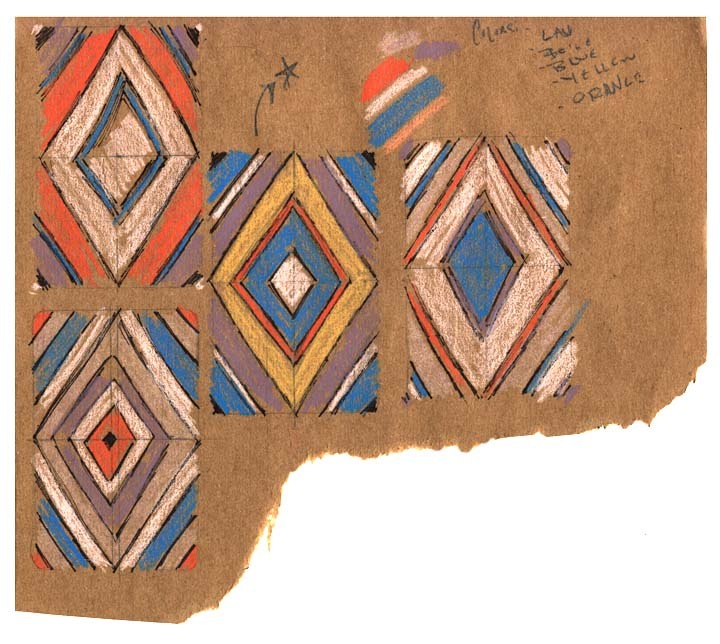 Aside from its sad state, anyone who knows me could tell you that I always prefer colors and patterns to solids. Matching be damned, the more the better. 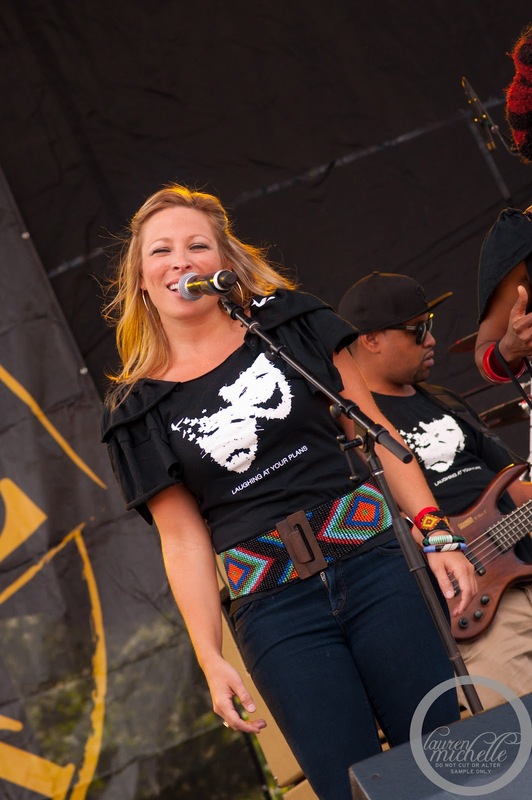 Alas, I found my inspiration a few week ago when I went to see my talented friend, Jeanne Jolly perform. 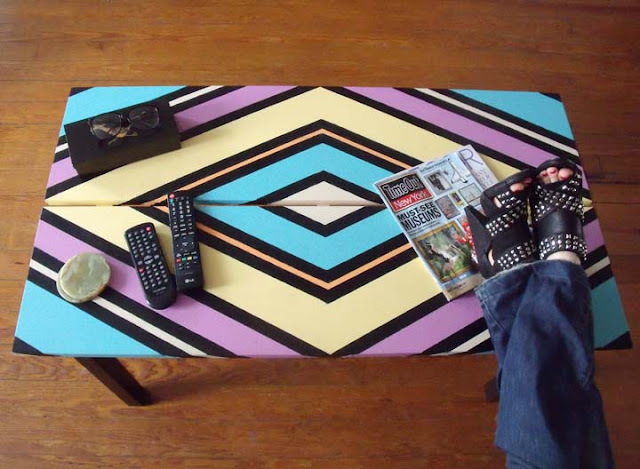 It was a great show and I finally decided what to do for the coffee table by way of my obsession with Jeanne's belt. **Currently, Jeanne is selling downloads of her singing "Hallelujah" with 100% of the proceeds going to the Ovarian Cancer Research Fund. Please take a moment to support this. It's cheap, you get something beautiful out of it and it's for an excellent cause! 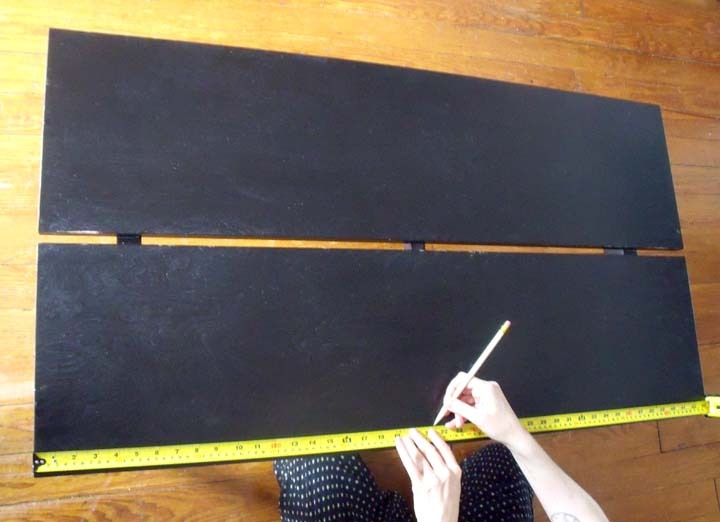 Step 1: Plan your design! The color, the number of lines, widths, etc. Even if it's crude, this will save you lots of time (and probably from some errors) later. 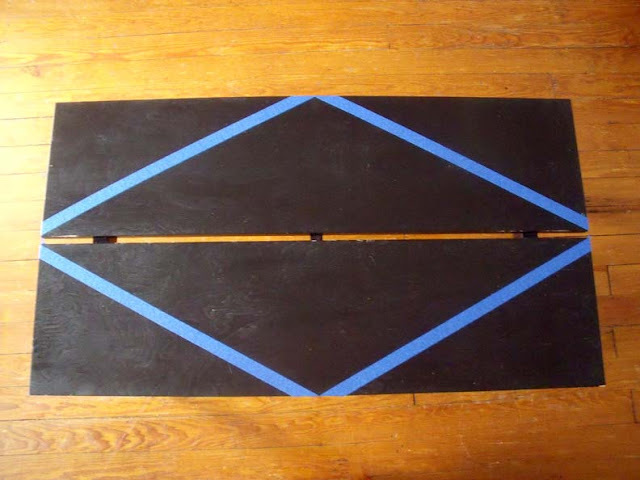 Step 3: Use a pencil and ruler to make a straight line connecting the 2 horizontal marks. Then connect the 2 vertical marks. This serves to divide the table into quadrants. 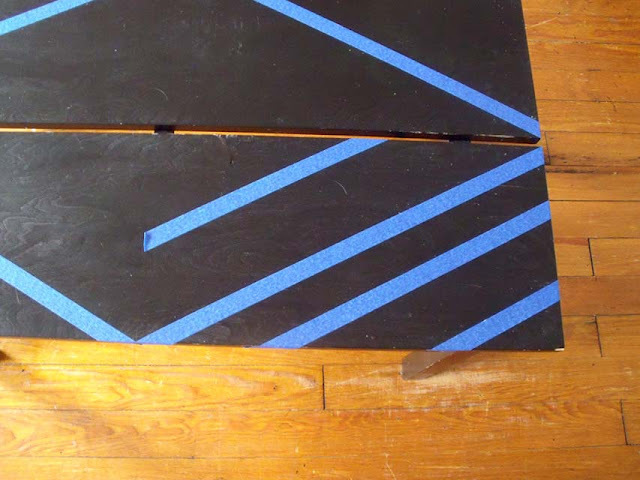 Step 4: Now connect the the horizontal points to the vertical points using painters tape. When you're done it'll look like a diamond. Step 5: Pick a quadrant of the table to begin marking where you tape next. Then lay tape cleanly over the line. Steps 6: Continue making marks and taping until that portion of the table resembles your design. 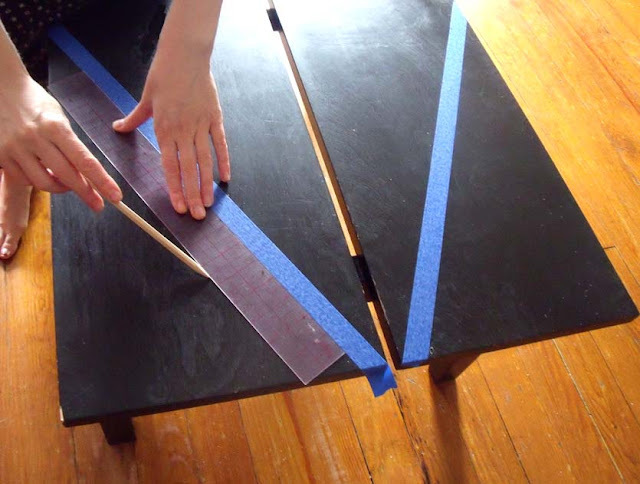 Any tape that intersects the horizontal or vertical pencil line (from step 3) cut the tape so it meets the line but does not cross it. Step 7: Repeat step 6 in the table's other three quadrants until the table looks something like this. 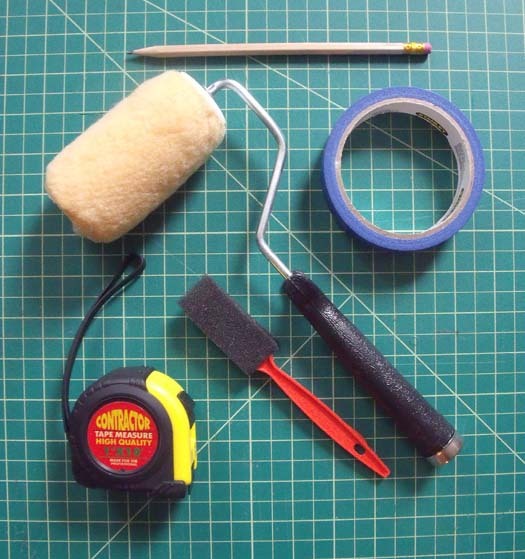 Take this chance to rub your finger securely over all of your tape to prevent paint from seeping beneath it later. 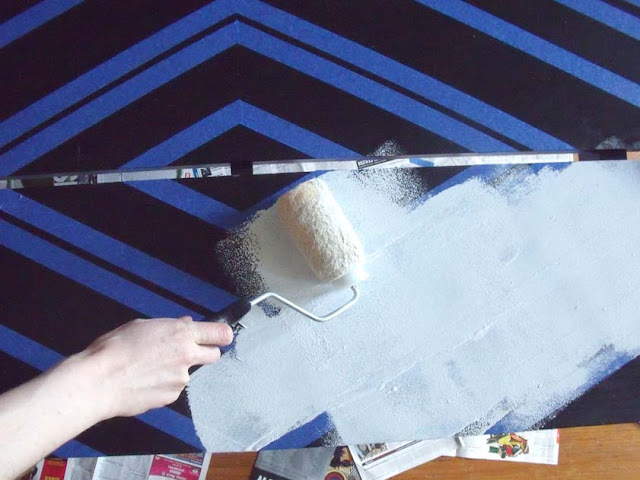 Step 1: Get your painting area ready by placing recycled paper or a drop cloth beneath the table and set out all of your paints and primer. 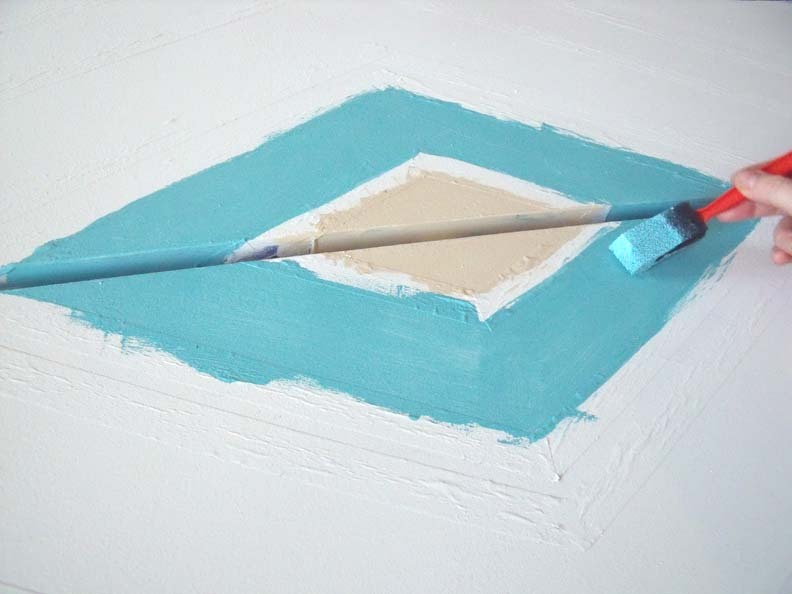 Step 2: Prime the exposed areas in a clean even layer. Step 2: Begin painting one portion at a time. Keep going until all of the surfaces are covered. 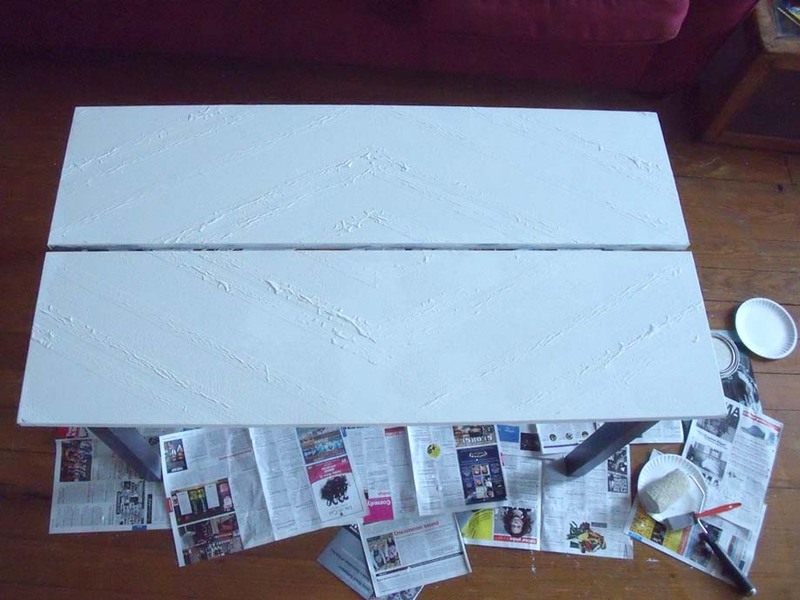 Step 3: Allow the paint time to dry, then add a second coat. Step 4: Give plenty of time for the paint to dry, then gently remove all of the tape. 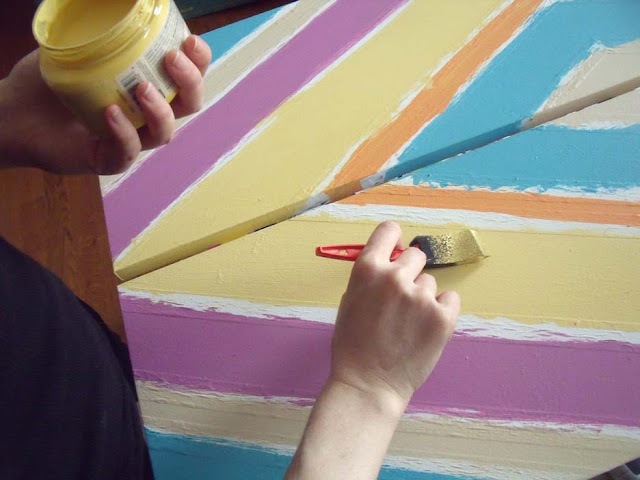 Step 5: Repair any spots where paint seeped beneath the tape with matching paint or permanent marker. My edges on the side of the table got a little crunchy looking. Having a black base made it easiest for me to make corrections with a sharpie. 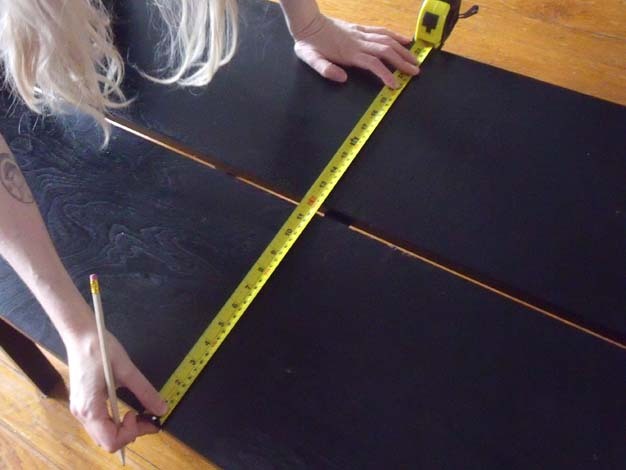 *As an optional last step you may want to seal the table top in a laminate top coat. Jeanne, thank you SO much for the lovely evening and inspiration! I'm loving it! 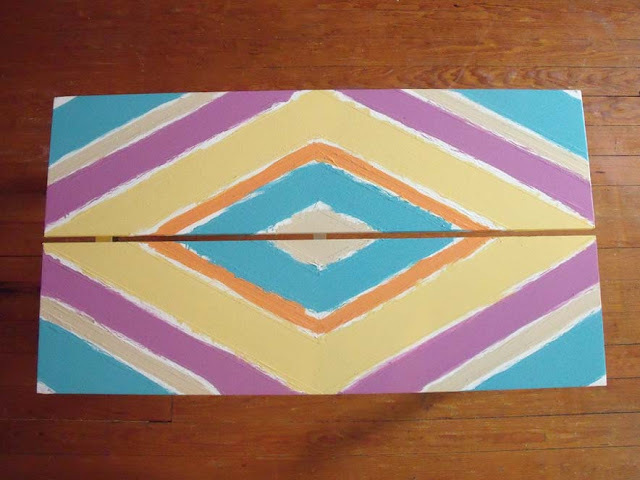 Lovely project, I like the colour combo :) Thanks. PS (your shoes are nice :)). Aw, thank you! I was initially afraid I might be going overboard with the colors, but I'm super glad I did! It really brightened up my my living room. Hello! This is gorgeous! 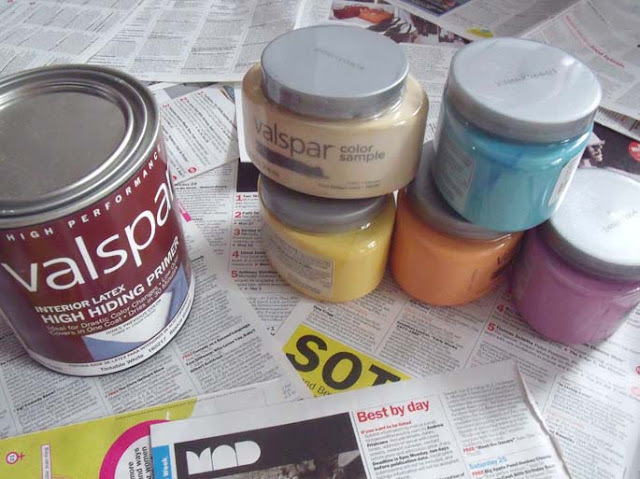 I have a question, what kind of paint do you use? Is it the same that you use for walls (water based) or is there a special one? I'm trying to paint a wood furniture color aqua :) Thank you! What I used was a laytex interior paint. Same stuff that goes on walls, but I explained my project to the guy working there an he said this should do the trick. Good luck with your furniture project! Hope this was helpful. Thanks for your reply! 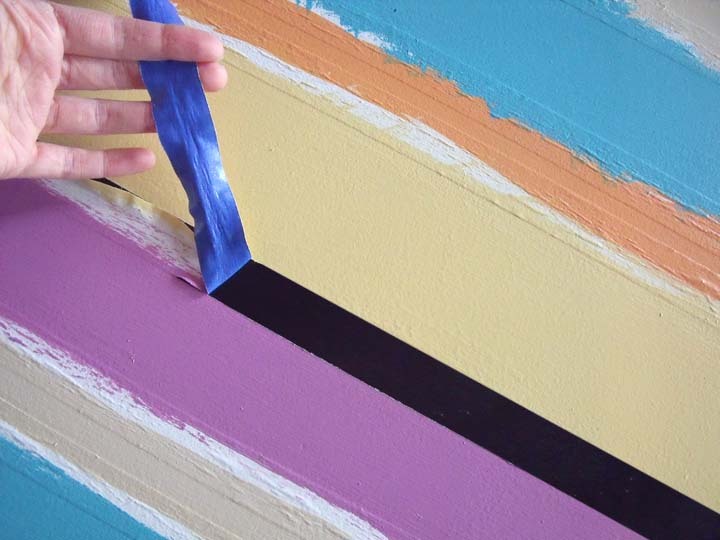 I will ask for color samples for sure... and if everything works out ok, I'll show you my after/before pictures. Have a nice day! Please do! I would LOVE to see them! How cool is this? Thanks, Mary! Also, love the post you included on s'mores variety. Those pops are now on my "to do" list. Oh wow! This turned out great!!! oh my gosh, I love your ideas! they are simple and addictive! just can't leave the site. thanks! 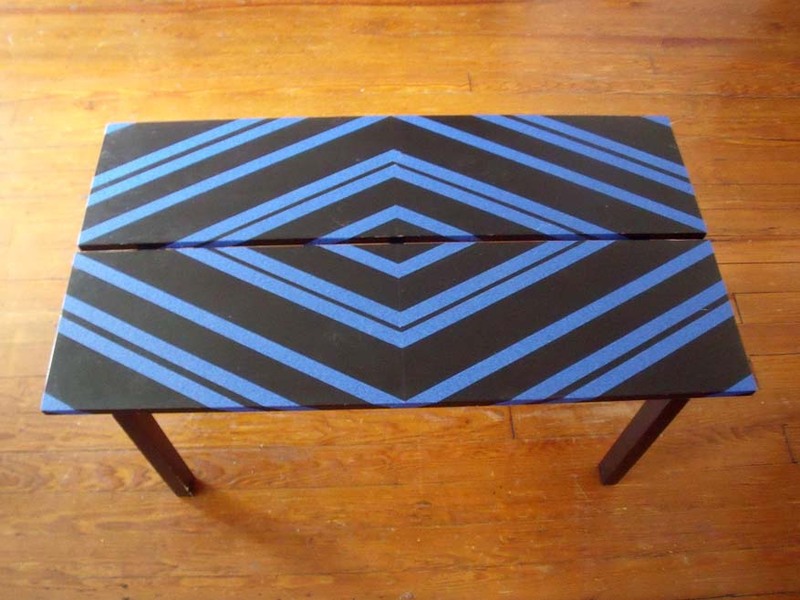 awesome project simple and amazing im doing that to my coffee table now!! I hope it comes out just as cool as yours. That"s awesome, Ashley! Would love to see a pic when you're done.